The Gyalwang Karmapa began teaching where he had left off in Session Two, by reading the section on the words from the Mukhagama of Manjushri, found in The Torch of True Meaning, and then reflected on the idea of the root guru based on this profound text. Abandon them all for a time. The offerings of other practitioners. The karmic obscurations in their own being. 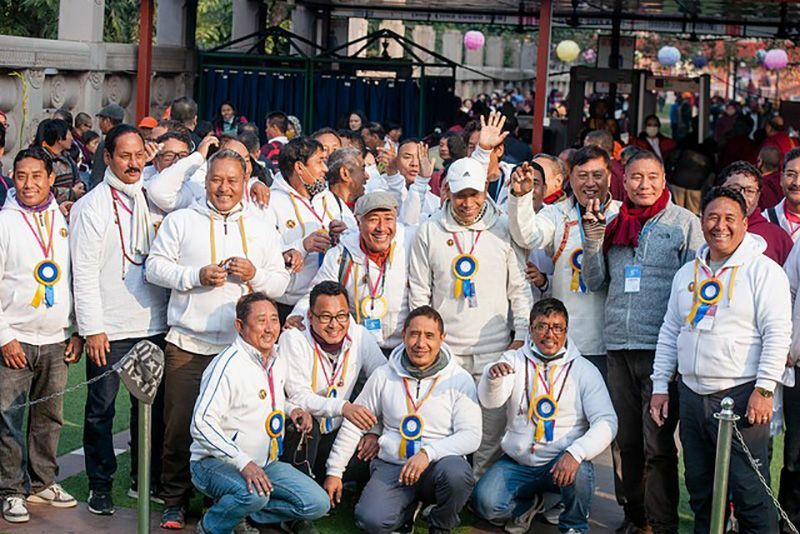 In The Torch of True Meaning, Jamgon Kongtrul elaborates further that, even if you are not able to hear dharma from a famous guru such as a lineage holder, if you take as your root guru another guru who has the same experience and realisation, you will receive the blessings. The root guru is portrayed as: “all individuals who work for the benefit of beings, sun and moon, herbal medicines, even boats and bridges.” Committing the root downfall of disrespecting the guru refers to all the gurus with whom you have a dharmic connection, not just the root guru. His Holiness continued to read from the text. Innumerable sutras state that receiving the supreme siddhi is possible only if we meditate on the guru. That is unequalled among all practices because bodhicitta is the essence of the Buddha’s wisdom. The text continues with a section on how examining faults in others is self-destructive by nature. The First Jamgon Kongtrul warns us not to examine others’ faults, in particular anyone who has started to practice the dharma, but to rejoice and think positively. Furthermore, we do not know who might be practising yoga internally and it is said that, other than the perfect Buddha, no individual can truly measure another. Since examining others’ faults sweeps away our good qualities, we should solely examine our own. The concluding point of today’s portion of the text was that the intensity of blessings corresponds to our view of the guru and the level of devotion equals the level of spiritual practice. The key for rapidly receiving blessings is to meditate on the guru as a buddha. The text reads: If you are practicing Mahamudra, you should think of the guru as the naked dharmakaya. If you want to extend your life, think of him as Amitayus or White Tara. If you want to cure illness, think of him as the Medicine Buddha. For dons, think of him as their remedy. You must view him as inseparable from the principal deities of any of the mandalas from the tantras. This is the meaning of calling him, ‘the Guardian of the Mandala’. The Gyalwang Karmapa then explained the practice of taking empowerment from the guru while imagining him above the crown of our heads. 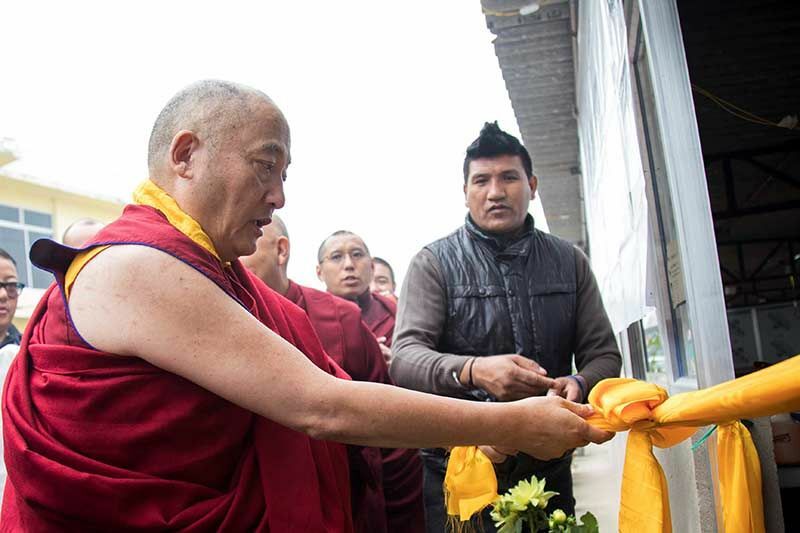 He said that if we have transgressions of secret mantra vajrayana, the self-entry to the mandala of the deity is important for restoring these violations. Mixing the minds means effectively entering the mandala and receiving the self-empowerments. 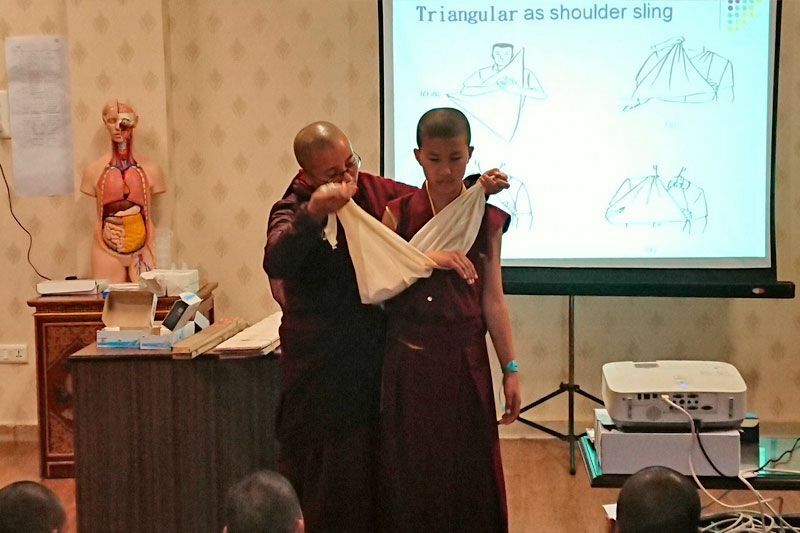 Turning to the Four-Session Guru Yoga, His Holiness explained some essentials of the practice. It is called ‘four-session’ because it is meant to be practised four times a day: two sessions before midday and two sessions after midday. Since it is sometimes difficult for us to do four sessions, we should aim to recite it at least once a day. The reason for four sessions is that it is a powerful tool for purifying root downfalls. If a root downfall goes beyond the duration of one session, from the time we commit it to the time we restore it, then it is difficult to recover it. If it doesn’t go beyond that duration and we restore it in that time, it is not considered to be a root downfall. 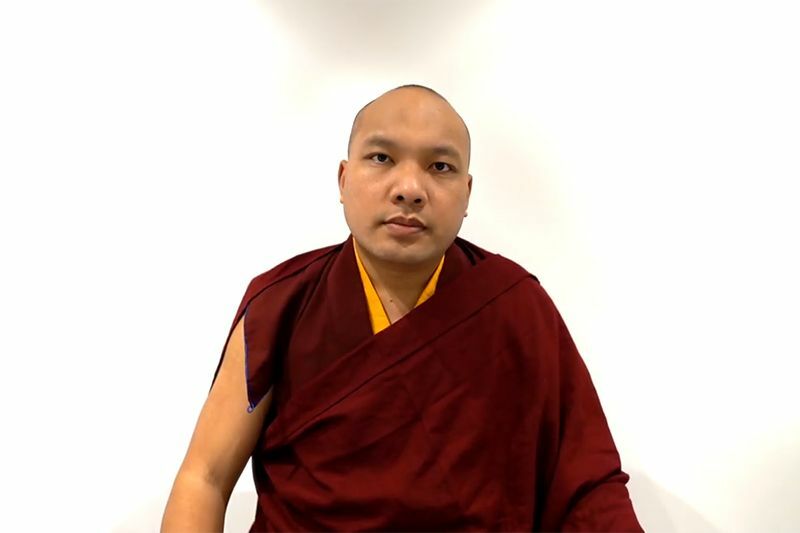 Returning to the teachings on the guru yoga in Jamgon Kongtrul’s text, the Karmapa related that we should not see the guru as a single individual, but the union of all the buddhas and bodhisattvas, deities of the mandala, and the union of all the jewels. 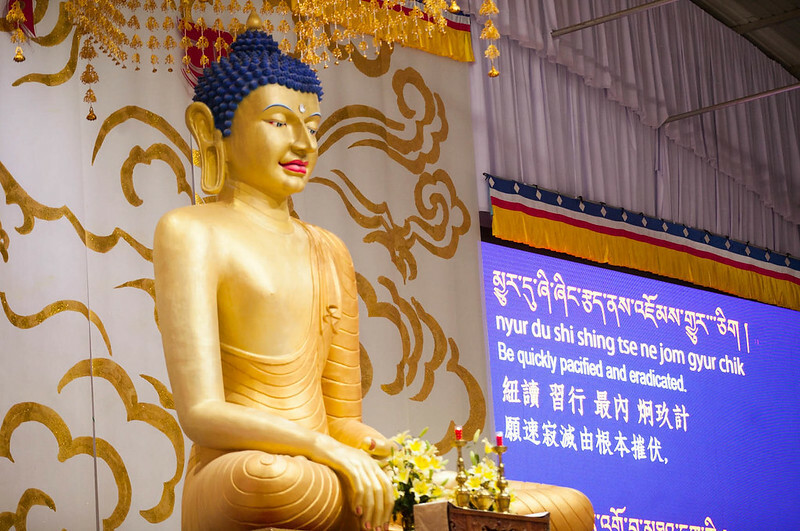 We should consider him inseparable in essence from the founder of Buddhism, Buddha Shakyamuni, and from Gampopa, the founder of the Dakpo Kagyu, because the Lord Buddha himself prophesized that Gampopa would continue the Buddha’s teaching. As Vajradhara is the teacher of mantra, it is important that the guru is seen as inseparable from him as well. Finally, you should imagine your root guru as inseparable from one of the incarnations of the Karmapa, whichever one you feel the greatest connection with. “The question is: who is your root guru?” he asked, and continued by saying that, as practitioners, we will have many gurus. Among the many lamas who have given us guidance, the root guru is the one who has shown particular affection for us. It is the one who has displayed the greatest kindness for us. On finding the root guru, the Karmapa asserted, fundamentally, we do not need to look outside ourselves to see who our root guru is. Rather, we should examine what experience or feeling arises in our minds. Our tendency, however, is to examine the external qualities of a lama; we look at his fame, the size of his monastery, his education, his looks, but we fail to pay attention to the level of his realization. His Holiness equated that kind of attitude to shopping for things based on their appearance. “Be your own store,” he advised, and, continuing the metaphor, invited us to examine the wealth of our faith, because that was the currency for finding the guru. It was not so difficult to find a guru, he suggested, if we had faith, devotion and pure perception, because buddhas and bodhisattvas are waiting to help us day and night, but we needed to give them a chance and open the gate for them with the key of our faith and devotion. 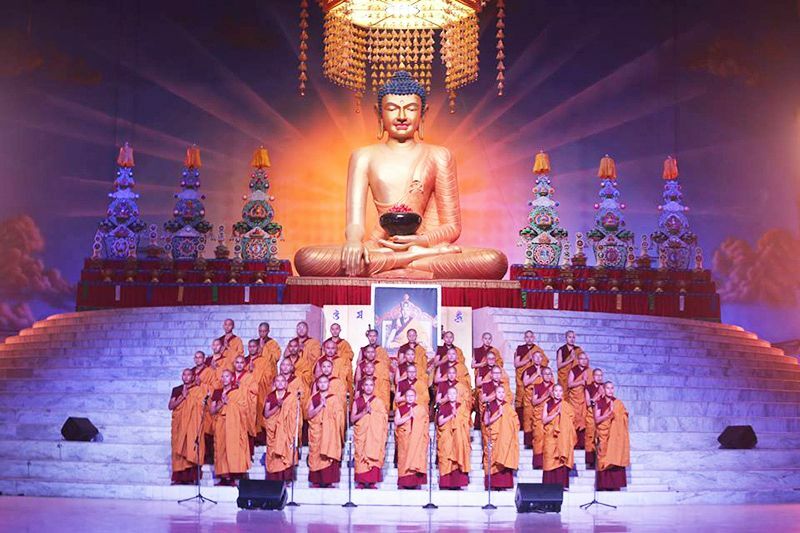 However, to those who still felt that they were unable to find their root guru, great masters have said that, if a person has received the tradition of Gampopa, they could consider him to be their root guru. Even though we should examine our feelings, we need to use our intelligence and discernment too. His Holiness reminded us not to mistake our motivation while examining the lama. We should not be looking only for negative aspects but trying to find good qualities. With those words, he brought the morning’s session to a conclusion.